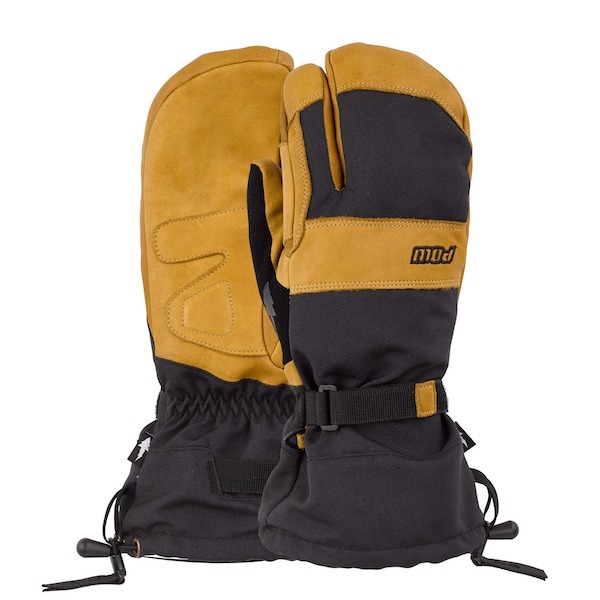 Take cover in the POW August Trigger Mitt (Buckhorn Brown), an impressive glove made with superior fabric and grade A leather. Be ready for anything! Featuring premium water repellent leather, fitted leather cuff with ergo leather pull-tab, hybrid style for maximum warmth, buff thumb material to wipe your nose/goggles and wrist cinch closure. Pictured is Buckhorn Brown, though other colours are available.